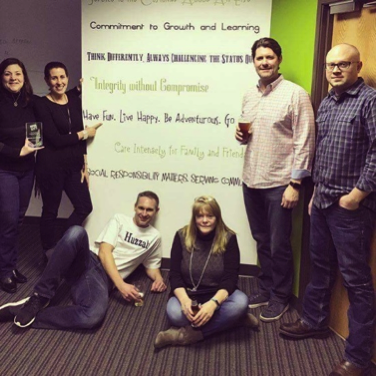 We are pleased to announce that NascentHub has received our first ever Winning Workplace Culture Award! They are certainly Champions of Fun and successfully execute their message of more fun at work in their workplace. "Having Fun is crucial to the soul of our company...we feed off of each other's energy"
"Fun comes from the top down..."
"It’s not work when you make it Fun, we are building something great." Not to mention that 97% of those surveyed stated that NascentHub is a fun place to work, and 89% say that fun lasts 15-60 minutes. When it comes to companies creating more opportunities for their employees to have more fun at work - NascentHub really knows what they're doing!